At the RMG our statement of purpose indicates we are dedicated to sharing, exploring and engaging with our communities through the continuing story of modern and contemporary Canadian art. There are many ways in which we do this, but from my office, a large part of the sharing, exploring, and engagement I work on is digital and social. 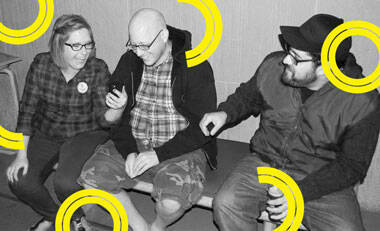 I recently worked with Assistant Curator Sonya Jones on developing our second Community Curates project. Last time, we developed a weekly survey through our blog, and voting determined the outcome of an exhibition. We felt that approach was successful but getting people to come back and vote every week for ten weeks wasn’t the easiest task. When managing a social community it isn’t advisable to drown people in repetitive requests week after week! So this time, we decided to make the voting a one-time survey that we could host on our website. We’re a few weeks into promoting the survey through social media and gathering responses. I love looking over some of the data that is collected. We’ve had responses from Canada, the United Kingdom, France, and the United States. That means we’ve engaged international audiences in our Canadian art collection, and I think that’s a very important part of what makes social media so powerful for museums and galleries. Going back to the original intent, engaging with our communities, it is important to recognize that for art museums our communities is defined not just as our local community of Oshawa, the Durham Region, the Greater Toronto Area, Ontario and beyond, it is also the larger international community of people interested in art. Social media has changed how museums and galleries can communicate and share art with fans and friends around the world. And we want to hear from you! 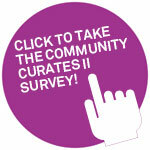 Have your say in the Community Curates II survey, and help select the works for an exhibition at the RMG.